Since Friday was the 25th birthday of our editor Kathi, we decided to dedicate this Sunday’s gift guide to all best friends out there. We at The Daily Dose just love giving presents to our friends, especially to our girlfriends, because it’s so much fun to decide on what would make them happy and so rewarding to see the joy on their faces when we got them the right thing. 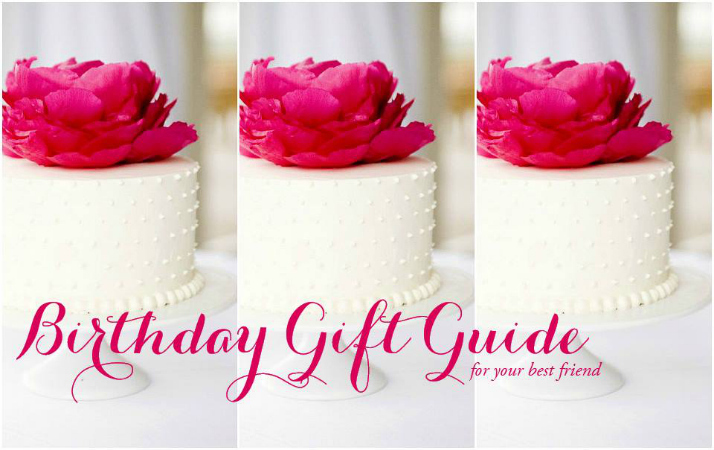 Of course, there are about one million nice things that you could give to your best friend, but we especially love those beautiful knickknacks that she wouldn’t normally get for herself – this is our list of best-friend-worthy presents! Almost everyone owns an iPhone nowadays, at least since the existence of Instagram – let’s face it, what would we really do without it? To make looking at our daily companion a little more fun, give your friend a cute iPhone case, she will love you for it! If your friend is one stylish lady from head to toe, this passport cover is the perfect gift for her – it shows her appreciation for the small things in life. Also, it’s made for the cutest Instagram pics – remember our hashtag #lovedailydose? And your present will be her companion for all those amazing trips! Sooner or later, there comes a time in every woman’s life where she feels the sudden urge of wanting to own a Panama hat, just spare her this feeling and add this classic to her closet. One’s for you, one’s for me – may we always think of each other when we wear it! It’s pink. It’s light. It’s got skulls on it. It’s perfect! Those are simply the best shoes for a vacation, made of rubber and nearly indestructible but comfy and cute at the same time. Oh, how we love Rebecca and her Mini Mac Bags! In our opinion, every girl needs a cross body bag and the Mini Mac Bags are of perfect size and affordable for every budget, if you share the costs with a group of friends! The lobster phone case made me laugh-so cute!